TRAVEL ESSENTIALS | RAWR BOWS. Hello! I travel fairly often, whether it's to go home, to uni or on a holiday. Some people might enjoy flying and going to the airport, I'm not one of those people. I personally think it's a hassle, it takes too much time and I usually get bored. This, unfortunately, is not a post about how to have fun in an airport -but if you ask, running around on a trolley is a good way until security stops you. 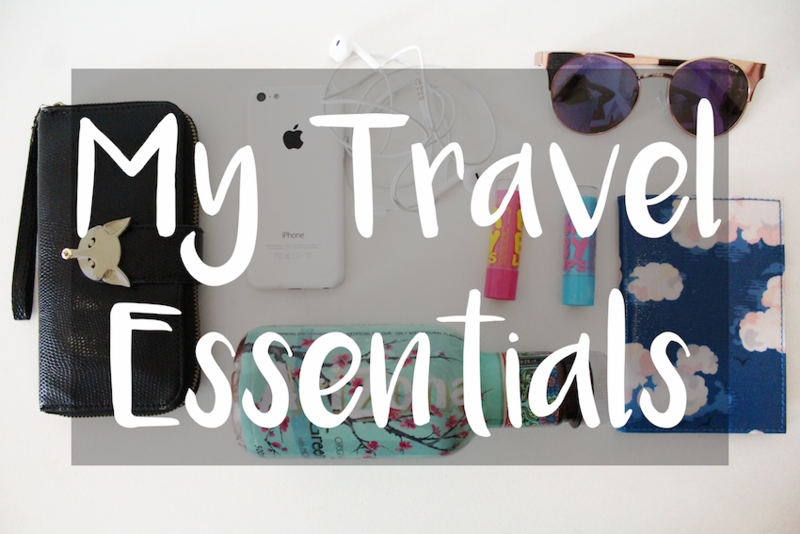 This is a post about some essentials that, if you keep with you at all times, will make flying a bit less of a pain. Money | On an average 5 hours flight, you're likely to spend at least 8-9 hours away from home/hotel/any kind of accommodation. Therefore, eating something at the airport before leaving or buying some snack to eat in the plane is not a bad idea. Sunglasses | Sunnies are useful if a) you want to feel like a celebrity b)you have an early flight and there's no concealer capable of hiding your dark circles. Passport | This one is kind of obvious, unless you really don't want to be in that plane. I recently got this super cute passport holder from Cath Kidston and I can't stop looking at it. Drink | It's common knowledge that water is good for you and that airplanes dry your skin out, so having water or some kind of tea with you can help your skin more than you think. Phone | With no Wi-Fi on board, my phone is always my main entertainment. I usually either play games or listen to music and try to sleep. Lip Balm | As I said, airplanes really dry out your skin, including your lips. There's nothing I hate more than having chapped lips so I always keep a lip balm with me when I'm travelling.